It has been a while since we’ve written anything about the recent work we’ve performed, so we’re wrapping up 2016 with a quick update. We hope all our clients, friends, and family have a wonderful holiday season and head into the new year with hope and ambition. We have had quite a year working on refining our business model, building partnerships, and strengthening our abilities so we can better serve our clients. Another goal of ours is to give back to the community with resources like the free webinar we’re hosting next week: Getting Started with xAPI Statements. Last, but not least, we love creating jobs and freedom for people, and this year we’ve worked with a mix of new and long-time colleagues on some interesting projects with measurable impact. Collaborative work is rewarding! We’ve continued to Co-develop on eight new courses with one of our clients, helping them learn best practices, instructional design standards, and iterative design processes as we go. We’ve been helping the Public Health Informatics Academy refine the user experience of their learning platform and creating a pilot plan for rolling out Immunization Information Systems (IIS) training to state health departments. We’ve worked with another client on a Learning Management System (LMS) selection project, and are currently supporting implementation of the RISC VTA platform. Brian facilitated a discovery workshop and requirements gathering project for the Children Without Worms program to determine requirements for a performance support platform to organize and deliver research and toolkits. We continue to support the rollout of a learning platform (OnPoint) for Integrated Disease Surveillance and Response (IDSR) through our work with TEPHINET. Sean has spent the last couple of years writing a book with Janet Laane Effron called “Investigating Performance”. 2016 saw the book project come to fruition and the book is in the final stages of editing with a release date early in 2017. Sign up here to be notified when it’s available. Sean presented at all of the 2016 xAPI Camps and at Torrance Learning for the xAPI Parties and Download Conference. He also presented at a corporate conference on the process of collecting and using data. 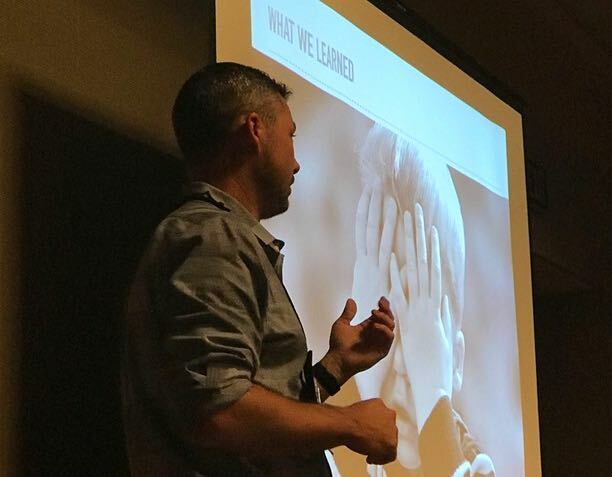 Brian delivered a keynote, “Design for All: Accessible Learning Experiences”, at the BLR Learning Conference in November. Brian also won an award as a finalist in the DevLearn Hyperdrive event. It was a great year for us presenting and talking with people at various conferences throughout the year. We are looking forward to presenting at and participating in more events in 2017. In case you missed it, Sean is delivering a free webinar, “Getting Started with xAPI Statements”, next Wednesday. Following that will be two add-on authoring tool sessions on Thursday covering xAPI basics for Captivate and Articulate Storyline. The Focus Summit is an excellent free series of video interviews on focus in your business and life. Mark Britz writes about the Tale of Two Socials. Be well and be kind, everyone. See you next year!